The West Town Chamber of Commerce, Ald. 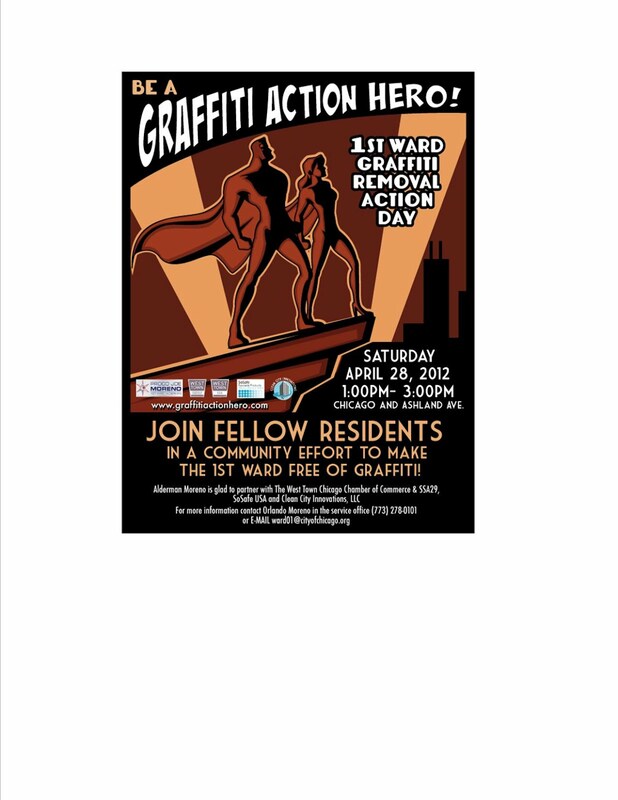 Proco Joe Moreno and the SSA29 tax district are looking for volunteers to help with a two-hour graffiti removal action effort. Meet at 1pm at the corner of Ashland and Chicago avenues on Saturday April 28, at North Community Bank. All supplies will be provided -- just bring your superhero cape and elbow grease. Cleaning will be primarily west along Chicago Avenue and possibly north and south on Ashland. 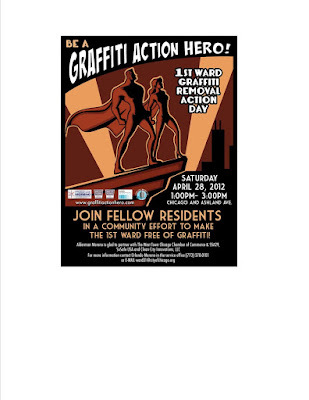 For more information, contact Orlando Moreno in the 1st Ward office at (773) 278-0101, or (773) 727-3768 the day of the event.